Back for another year, and this time in our neighbourhood, we couldn’t pass up the opportunity to lend a hand at Hidden door 2018. 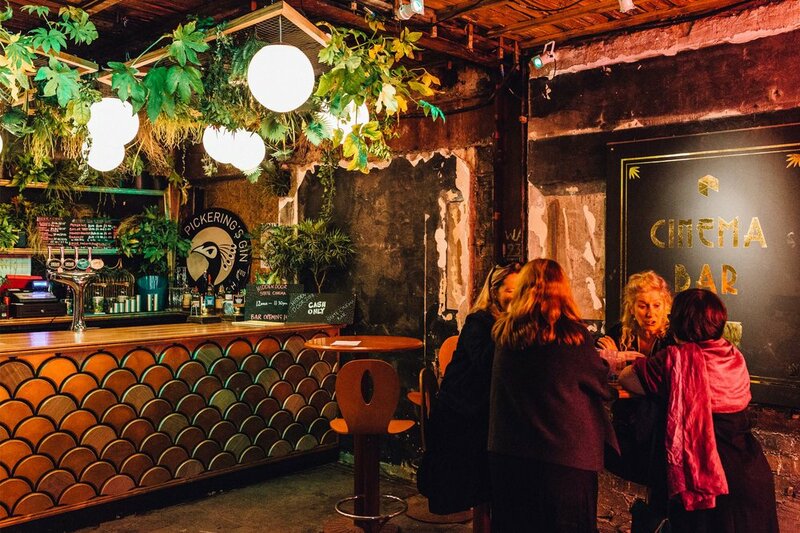 Newly located in the old leith cinema, we designed, fabricated and installed an art deco inspired bar that sympathetically mimicked the long abandoned cinema as nature begins to creep in through the cracks in the mortar. Hidden Door is an arts festival that takes place in an abandoned or hidden place in Edinburgh each year. 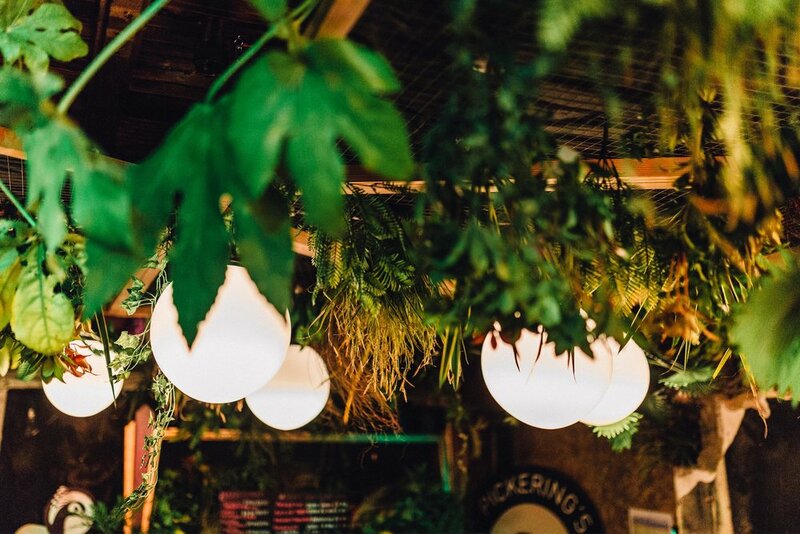 After the massive success of last years event at the Market Street Vaults, the venue for Hidden Door 2015 moved to the old street lighting depot on King Stables Road. Right in the heart of Edinburgh’s Old Town, just off the Grassmarket, invisible to passers-by, this intriguing complex of quirky rooms, hangers and old workshops which centre around a large overgrown courtyard, played host to Edinburghs Most exciting showcase of Scotland’s up-and-coming creative talent. 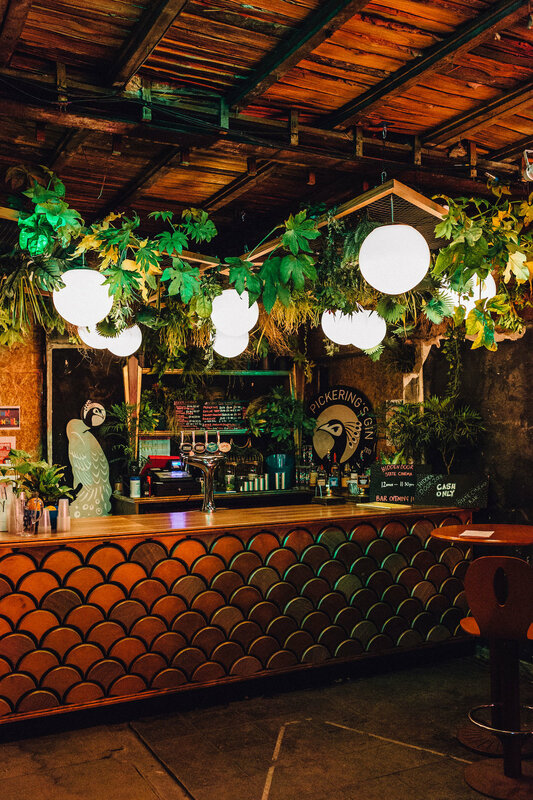 SPLINTR were commissioned to transform part the largest room of this abandoned shell into the main bar area. 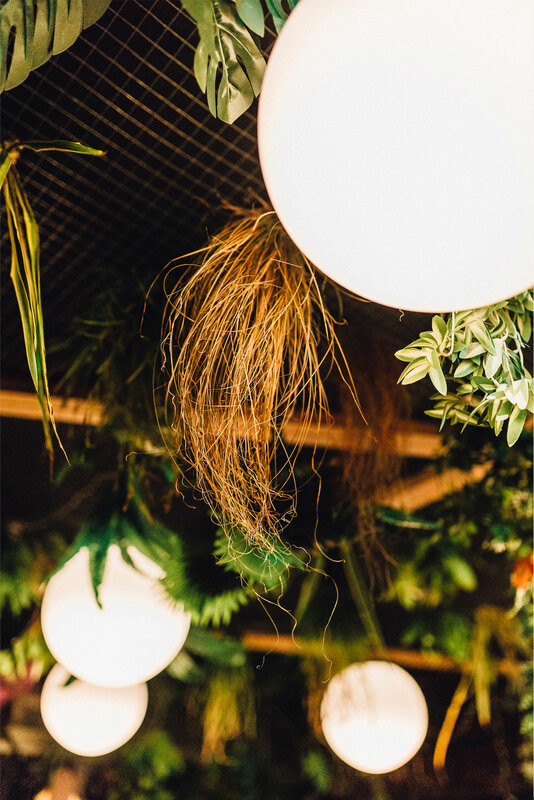 To compliment the nature of the festival and the surroundings in which it was taking place, the project was designed to use as many found and repurposed materials as possible. An eight metre long cast concrete bartop sat on top of a frontage of old interlocking doors. Above the bar hung a large lighting sculpture made entirely from approximately 2000 old, blown lightbulbs. The sculpture resembled a cloud, and internal bulbs create a glow from within, illuminating the bar below. Next to the bar, a large ‘tree’ sculpture, again made entirely from old doors, stretched from the floor to span across the ceiling. From the branches of the tree hung pendant lights, with filament bulbs housed in our trademark fire extinguisher shades.The use of found materials and the various elements of lighting around the bar worked very well within the space and complimented the aptmosphere of the live music room.This project was ideal for SPLINTR as it gave us a blank canvas that allowed us to challenge and fully employ all of our design skills in order to create something spectacular.